The Filter Frog is a mineral sanitizer for placement in spa filter cores. It aims to help spa owners reduce their usage of chlorine and bromine by up to 50%. The mineral style of purification helps to stop water from fading swimsuits, irritating eyes and emitting undesirable odors coming from any hot tub! 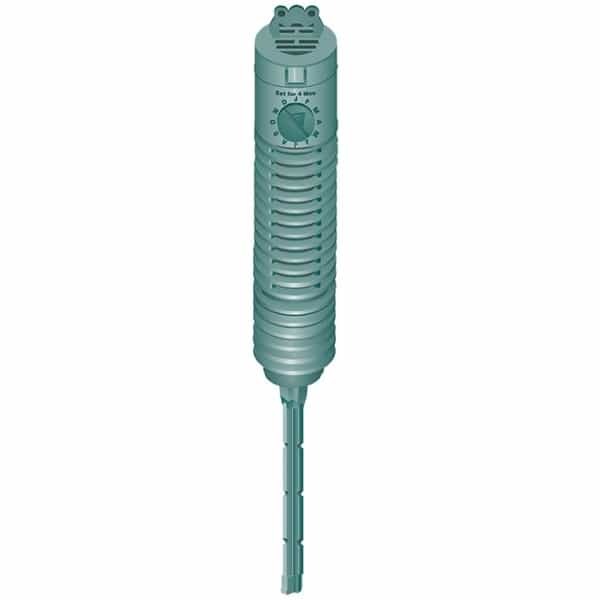 The Filter Frog drops seamlessly into the spa filter cartridge, filter well or skimmer. On contact, it will destroy bacteria while neutralizing pH. The mineral Filter Frog will last for approximately four months, during which it will filter water from the top portion of the sanitizer to the filtration system, and then deliver it back into the spa or hot tub, clean and clear. For spa owners looking for a natural way to improve the overall water purity, consider a one-piece, immediately effective natural mineral sanitizer. Spa water requires a low 1.0 ppm of chlorine or bromine for the Filter Frog to work effectively. This can be done by adding Shock before or after Step # 2.Simply lower the Filter Frog into the center of the filter cartridge. Relax and enjoy your spa or hot tub! Filter Frog minerals are active immediately. Replace Filter Frog after four months.